The pirate woman continued her conversation with Seth, beckoning him to follow her as she made way for her office while everyone else had stabilized from the initial wave of newcomers. Seems someone had been running him around town today if he couldn't see the announcement ceremony, especially with Director Yukino's little showing from her agreeing with Cero on their mantra. "Running errands? You looked like you were a little restless sitting down when I saw you." Umi noted during the chaos of mass registration, not blaming him for being impatient with long lines and a lot of bustling noise. Adjusting her quilt, she looked back with a friendly smile as she spoke: "I'm not quite like the bigwigs of the association or anything, nor do I really care for being formal. What you call casual, I call natural." Of course, for the band leader of roguish brutes - Granblue - it was more surprising she was less rude than one would expect. As the two traversed the Magallanica branch a bit, the design was filled with thematic, dark blue carpeting and flooring. Several tanks for the building's own aquarium were at the walls, but not nearly as many as the city's dedicated aquarium. There were split path designs with brighter themes and cute decor for Bermuda Triangle, more royal and organized for Aqua Force, and the brand of pirate flags for Granblue. They strolled down the last one's walkway, seeing employees setting up remaining curtains with Granblue's insignia. "I don't know about training, and our fighters might be a little scarce or busy, but..." Walking over to one of the screens installed into the wall, Umi began looking to playback the announcement ceremony for Seth. "Right now, the kind of stuff going on is just getting everything together. We're a close bunch for staffing, and getting ready to host one of the first events." She gave him a little spoiler of days to come. "So what do you think you're here for? What's your journey? I don't think randomly approaching people while whipping out your deck is going to make good progress." "Restless would be a good word to use, yeah. Though, it was probably because I was expecting something major since me coming here was listed as a priority for me. So I ended up finishing my errands first before coming here so I can devote the rest of my time into whatever was waiting for me here." Seth walked behind Umi as he soaked in the atmosphere of the Magallanican Branch. His stiff aura became more relaxed upon seeing the nation that his cards originated from. Maybe there was more than just fighting that this branch could and had to offer him to help him. "If you're not one for formalities, then that's fine." Seth said to Umi. "I kinda expected higher ups to be stiff and to tote on their titles, ranks, and whatnot - which can be difficult to interact with. Plus I'm used to this. Well, being around a casual bigwig so I guess this is preferred." Seth remained silent as he finally got to watch the announcement ceremony. As he watched each and every Manager, he noted that each one of them had their own different personalities and expressed it to their hearts content along with their ideologies and goals. Seth turned away from the ceremony towards Umi's question about his journey. "Well, I aim to be a powerful cardfighter so I can help out my 'partner'. I'm not exactly sure the specifics of why or what I'm supposed to do here or how that'll influence our journey but I was told that I needed to push myself to help my partner reach his goal. My own goal is..."
His sentence cut out to seeing a declaration of "Weakness is a Sin" from what would appear to be the final Branch Manager. "Whoa, who is this?" Seth felt as though the entire atmosphere changed in a blink of an eye as soon as this woman talked, he continued to listen anyway however. "I guess the heads of the branches aren't on the same page I take it?" he said looking at Umi whom she and two others emphasized the idea of having the new generation leading to a brighter future. "Yeesh, compared to her, she makes my deck's winter theme look like a trip at the Bahama's. Although... 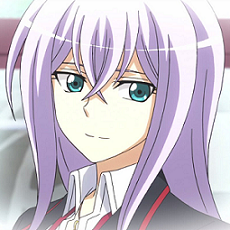 I won't lie, I'd like to cardfight her to see if she's able to back up her words." The idea of fighting any of the Branch Managers, especially the woman on the screen, made Seth giggle in excitement. The woman she finally introduced herself, stating that she stood as one of the original vanguards with... Huh? "Stood as a what with who? Jellal?" his confusion exploded into uncontrollable laughter. "Okay, maaybe I was wrong about most of the branch heads or whatever, but this one is clearly..." He continued to laugh loudly. "This is just too funny! As if he'd ever be here anyways. Good joke on her though - much like her position." Taking her time to talk to the youth, she poured Seth a cup of water as he spoke and began to watch the announcement ceremony recording. Seems whoever called the shots for him didn't take into thought that Magallanica would be nearly overrun. That... and she wasn't sure why it was a priority for him either, unless he was just meant to register and check out the branch. Regardless, she didn't pry too much into his business. "Aha, everyone expects people in the association to be prim and proper, and I don't blame you. Not everyone is like me or this other person you're talking about." She noted, bringing him the cup as she stood near the couch he got to sit on. Umi took it upon herself to lean over the back of the sofa, watching with him as she listened. Resting her elbow into the soft surface, lying her torso against the fluffy texture, and bringing a hand to cheek, she got a little comfortable. "Partner, huh?" Umi would prod into that a bit later, making an assumption that it was either this casual bigwig he knew... or his avatar. Her attention cut to Yukino's part of the ceremony, which brought her to squint her eyes - annoyed. "... Not everyone is on the same page, yes. While I can respect Director Cero in wanting to push people to grow, her way of doing it is just..." The pirate woman caught herself from badmouthing, not wanting any bad blood no matter their different opinions. Though, Jellal's name seemed to get a reaction out of Seth, even making him laugh. That... was a reaction to Yukino's speech she didn't expect. "Huh? Joke? 'As if he'd ever be here'...?" Seth looked back at Umi who was confused at his words and even his laughter. He took a sip of water from the cup prepared by his manager and tried to relax himself a bit. "Sorry it's just... I can't imagine that guy involved in anything involved with people, especially with her." He looked at his phone and checked with his thumb sliding on the screen, which came to a sudden halt as he continued to speak. "And even if she was, good luck finding him, haven't seen or spoken to him in a week. That guy is something else." Umi was a little more lost, feeling the need to ask the obvious: "You know Jellal Kisaragi?" She admittedly felt like he was tiptoeing around that question, actually. "Sounds like you do if you talk about him like that, despite his reputation." "I live with him. He's the one that told me to come here. Do you know him?" he asked Umi in hopes that maybe she might know why Jellal would tell him to come here. "I don't really know too much about him except that he travels a lot, has no friends, but is a really strong fighter, and he even helped me with my deck and my partner. He's my landlord and trainer I guess you could say." "Ah..." Hearing Seth explain, Umi stood up, understanding why he said what he did about Jellal now. Though, from what she knows, he of the two original vanguard wasn't exactly the lazy type... usually. The type who eats a lot, probably, and would probably make good friends with Kiga. Taking a second to adjust her quilt, setting it back up at her shoulders, the woman responded: "I know him, but not overly. The branch directors and their assistants all met one another, and I heard some about him while watching him munch away at the snack table." She recalled her experience, the association making it so they would at least know one another's names. The rest, she only watched while Yukino and him worked out matters for the United Sanctuary. That aside, "I can't say for sure why he sent you here, nor do I think he has no friends, but coming here is a good way to start your journey. Magallanica's going to grow quickly, and we have impressive players here already. On top of which, I'm here to help you out." "If I had to guess why, it'd probably be because of my deck." Seth explained while reaching into his coat pocket and pulling out an old, fragile deck case that was on the verge of breaking. "Ugh. I guess all of my adventures damaged this case. I wouldn't be surprised if I lost a card with this old thing." He peeled back the top of the case and reached inside revealing a deck of Vanguard cards. He began to swiftly count them all. "...17...29...43...50..., and...7...8 G Units. Yep, got them all. Even though most of these are Jellal's, he's letting me use them until we're able to assemble a full deck of my partners' followers." Seth placed his cards face up, with his partner: True Blue Frost Dragon, Mystozan, on the cover. "But yeah, I think it's because my units hail from Magallanica or something, I don't know. Knowing that guy, probably wanted some seafood from here." he said with a chuckle at Umi. "If you can help me, that'd be great for both me and my partner. Jellal's been helping me ever since I got him and I was only told that by becoming better, I could help my partner." Umi watched him thumb through his deck, making a mental note to maybe buy the poor lad a new deck case. But, she mewled quietly and curiously at the sight of Aqua Force units she hadn't seen before. "Blue Frost?" She spoke aloud, taking notice of the common name scheme from the units not recognized. The pirate woman folded her arms, then held an elbow in hand while tapping finger to cheek. While there were many questions about these faces, she had more questions for how and why Jellal left Seth here to figure things out himself for the most part. "Maybe I can start helping you out now, actually." An idea sprung up in her head, calling for an employee. "Can you grab me something from my office?" The manager whispered into the worker's ear, watching them nod and rush off afterward. Then, she turned to Seth. "Would you like to play a game with me?" "A game?" Seth pondered on the idea that he might've finally gotten his first Cardfight here, and with a Branch Manager no less. "Sure. Plus I can get to see what type of fighter you are - considering you call the shots here." Seth grabbed his deck and made eye contact with the cover unit, his partner. He was smiling, his first steps towards his journey. "This might be the big break that we've been looking for, you ready to do this partner?" "Haha, good. Show some enthusiasm." Umi said as Seth accepted, hearing the footsteps of that same employee in their return. They handed Umi a deck case designed with a iconic, skeletal unit's art. Feeling it matched theme of 'frost' well enough, that worker took her order in setting up a fight table nearby. The pirate woman thanked them, taking her side and placing her deck of cards down. "While it's not quite the GIRS System, I'm sure you'll have fun with it anyway. Now, let me see your Vanguard." At last, the moment has arrived. Seth's first cardfight at the Magallanican Branch and with none other than with Umi. He approached the table and sat down his deck of cards as Umi did the same, while both were drawing their opening hands. Satisfied with his hand, except with the lack of Grade 3, Seth took a breath and focused on the fight at hand while still remaining hyper about it. "All I ask is that you don't take it easy on me just because I'm using a new deck." the boy requested from Umi. He wanted to see where he stood in the Vanguard world and he wasn't going to get that from Umi holding back. After she agreed and both of them setting their starting vanguard's facedown, they placed their hands over the Vanguard circle. Seth revealed Officer Cadet, Erikk; a basic starter for clans to grab a grade 3 from deck. His opponent revealed Granblue's Peter the Ghostie, a clan he read that made use of their fallen comrades from the drop zone. Seth took the first turn and rode Battle Siren, Orthia and moved Erikk back. After Umi had put Seth to two damage, even hitting one of his grade 3s to the damage, he rode Blue Storm Soldier, Tempest Assault and used Erikk to try and reel a Grade 3. Much to his surprise and disappointment, he whiffed and continued to not give up. Umi pushed him to three damage after riding Ruin Shade to get over his sturdy Vanguard. At the start of his turn, he drew the top card of his deck. Seth's eye's lit up and revealed a pleased smirk. "He's here!" he cried. Holding the card above the table with a righteous pose he shouted: Your frozen wings will soar us to a new future! Roar, my partner! True Blue Frost Dragon, Mystozan! What came next was a a thin layer of fog as though they were transported to somewhere cold where small visible clouds passed through their lips. A pillar of light pierced from the skies and crashed down where Tempest Assault had stood, nearly engulfing Seth's field. From within that beam, was a faint silhouette standing within it, rising from a kneel and their head looking up to the heavens above followed by a powerful roar. The light started to fade as the figure raised both of his hands cupped together and swinging it down, slicing through the light. What was there was a warrior in armor frozen in ice all around his body and even his limbs with wings painted in frost protruding from his back, almost mistaken for a dragon, with a frozen sword stabbed into the ground held in palms of his frozen left hand. This dragon-like warrior who appeared from the heavens itself, was "Mystozan", the Blue Frost Dragon. The aura around him was like none before him yet had traces of a familiar essence within him. "This is my partner!" the young man declared with his voice starting to bolster confidence. Although, he wasn't too modest about it when he stated that Mystozan was said to be a one of a kind unit by mentor. He called Tempest Assault and a miniature dragon that stood on all fours - completely made of ice, Exaroar. After both units attacked - with no triggers revealed from Mystozan - the turn ended with Seth at 3, and Umi taking her first two damages. Umi stood and drew, and rode her Grade 3 unit: Ice Prison Necromancer, Cocytus. Because both were at Grade three, she was able to release her generation zone and Stride Jumble Dragon. After assembling her forces, she began to declare her attacks: Ruin Shade with Cutlass was intercepted by Supersonic Sailor, Jumble Dragon lunged after Seth with a heavily timed Critical Trigger checked. Seth would've been forced to use his Sentinel on the final attack had he not revealed a Heal Trigger on his fourth damage. The final attack from Skeleton Demon World left Seth at five damage, before Umi ended her turn. Seth looked up a bit nervous. He wasn't expecting the fight to be so one-sided, hoping he'd of put up a better fight instead of being pushed and struggling against someone that wasn't Jellal. He began to feel frustrated but then he finally realized who he was up against and calmed himself before facing Umi with a guilty smile. "Okay. I can see why you're the boss of this place. You're pretty good." He lowered his hands while explaining that he went into the fight thinking, at best, he'd be able to finish it by his first stride - a remark might've put his Manager on tilt. This was the first he's been pushed by someone other than Kisaragi. "Perhaps it was worth me travelling here after all." He said while gently placing his hand over his deck. "Now then, let's begin!" He placed his hand over Exaroar and declared he was activating it's ability: by revealing a Grade 3 Tear Dragon and retiring Exaroar itself, Seth could stride without paying the cost to stride. He slightly tossed the card he just drew into the guardian circle for all to see. It was a Grade 3 Tear Dragon: Blue Storm Dragon, Maelstrom -- One of, if not, the most prominent unit in the entire clan of Aqua Force and a powerful ally of Jellal's, in the hands of this new fighter. Regardless of the circumstances, Seth fulfilled the conditions and picked up a card from his G zone and placed it on top of his Vanguard. "Blue Frost Heavenly Dragon, Broinac!" The ice around Mystozan began to grow as a violent twister swirled around him covered in frost. The diamond-painted cyclone began to expand while the shadow of a large being became darker, only to reveal yet another frozen solid dragon. Seth took back his Maelstrom card as he activated the "Heartbeat" effect of Mystozan. He discarded a Tear Dragon from his hand and looked at the top 7 cards from his deck, adding another Exaroar, and drawing another card - another Maelstrom, due to his Vanguard G-Unit being a Tear Dragon and giving Brionac an additional power up. Seth called Exaroar, revealing the Maelstrom in his hand and adding the third Mystozan to his hand and discarding a Maelstrom. He called Magnum Assault in front of Exaroar and began his attack. Tempest Assault's and both of Magnum's attacks were guarded by Umi, leaving only the Vanguard left. Seth activated Brionac's skill, allowing him to return both Magnum and Tempest Assault into his hand. Umi didn't guard, allowing Seth to check into two perfect guards and a Magnum Assault aka no triggers. Brionacs ability activated, flipping up a Tear Dragon in Seth's G-zone face up, allowing Tempest Assault to be called again to the front line to do another attack to which it was guarded, following the end of Seth's turn: 5 damage to Umi's 3. The Pirate Woman stood her crew, drew for turn and performed Stride: calling forth Ice Prison Hades Deity, Cocytus Negative to her Vanguard. Hearing Ice Prison made Seth think perhaps Umi was a fan of ice related themes like him or even if Cocytus and Mystozan could be related? Doubt it. Umi revived a fallen warrior from the depths. After doing so, Seth picked up that she was a little startled but continued the fight after she assured him that she will be fine. Unfortunately, the same could be said for Seth due to his hand having a single card that had more than 5000 shield value aside from three sentinels. If he were to survive the turn, he would be in a desperate situation. Ruin Shade's attack was guarded by Tempest and Magnum Assault. The Vanguard was stopped by one of the sentinels in his hand and dropping his Mystozan from hand. After revealing both a Heal and Stand Trigger - standing the Ruin Shade, Seth drops another perfect guard and another Tempest Assault from his hand to live the turn. With only three cards in hand and one rear-guard, Seth knew it was time to go big or go home, after eating his words. However, the fight was just getting started as Seth activated Mystozan's true ability. "I soul blast one card and reveal one Grade 3 Tear Dragon from my hand and unleash Mystozan's true power: Assimilation!" After revealing the Maelstrom in his hand, and with his chosen Vanguard declaring that "Mystozan and Maelstrom were now one", Mystozan's aura started to change as the wind became more violent like a storm - exactly like Maelstrom's. His eyes started to shift and narrow as Seth performed his final stride by using Exaroar - retiring it and revealing the same Maelstrom. 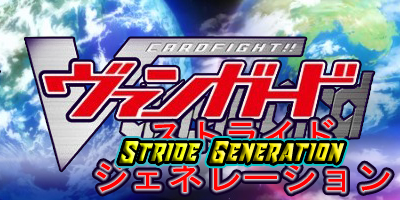 "Generation Stride: Blue Storm Helical Dragon, Disaster Maelstrom!" The wind around Mystozan expanded, his frozen armor starting to glow as Maelstrom's form began to solidify - taking on a new appearance similar to his Glory evolution. Seth paid the cost of Mystozan's Stride Skill by discarding his Maelstrom and adding his final Mystozan to hand and gave Maelstrom a 5000 power bonus. The snow haired boy called out his final sentinal and his final Mystozan alongside Magnum Assault. His Maelstrom attacked first, activating his skill to add a Maelstrom Grade 3 from deck to hand. Umi had called 35000 shield to her guardian circle, aiming for Seth to break it with three triggers. "First Check!" was a Tempest Assault. "Second Check!" It was there, as he had suspected. The Critical Trigger went to his Magnum Assault. "Third Check!" Again as he had expected, a Heal Trigger. Recovering one and giving power to his Magnum Assault, ensure that Umi would drop a lot of cards to stop the two critical attacks given Magnum's restanding ability. Umi didn't or rather couldn't guard the two critical attack from Magnum and could not draw a heal on either fifth or sixth damage. Much to his surprise, Seth had actually won. "Did... we really just win?" he asked waiting for an answer while staring down at Mystozan. He also remembered to tell Umi about the story of Mystozan that he started during the fight but never finished. Offering the chance of fighting a Branch Director near-immediately in the new era, Umi had reached out to the young Seth to sate her curiosity and his desire to fight. He didn't want her going easy on him, and while she said she didn't plan on it... well, pirates are underhanded. Even if it was to be nice, she lied as she wasn't even using her main deck. Seth would find out eventually, but most certainly not now by the way she was acting. Using "Cocytus", who she constantly referred to as "old devil" or ways that made it seem like she had some experience with the unit... Granblue's eldest icon fought against the unique "Blue Frost" dragons of Aqua Force. Intentionally holding back, she refrained from using "Cocytus Reverse", riding the ten thousand base original form, and playing from there. Beyond that, however, she was actually putting in a fair bit of effort to keep up and observe her opponent, watching him play the naval forces in a way she hadn't seen before. Blue Frost showed signs of being a more balanced deck. While it started a little shaky from a obvious lack of focused support, the structure it wanted to build itself up upon was there. "True Blue Frost Dragon, Mystozan" displayed the power to play with the Tear Dragon race, having an overall plus one in advantage off of its Heart Beat... and the ability to inherit the power - the essence and identity - of previous tear dragons. There was a story behind this, clearly, and it'd be one she'd hear after the game. So, putting it to the side, Umi got a little more into the game than she expected in her excited interest, letting her pirate dialect slip out casually, catching herself only once, but still going on in it. The girl was a pretty mildly-tempered - chill even - for a pirate. Seth is clearly confident in his ability, saying he expected the game to be finished by his first stride. That was after he accepted a fight with a branch director. He may not be an arrogant brat, but he thinks a little like one, she thought. So hopefully, her impressive defensive game along with counting how many cards the turn of "Cocytus Negative" would drop from his hand convinced him a little otherwise. Ever so subtly, it was being drilled into his head that Umiruka Nanana was a force of nature. This was exactly the kind of thing people feared the Seventh Cutlass for... Regardless, Seth believing in himself wasn't entirely being full of it. His Vanguard painted the image of him and Mystozan standing united, surrounded by allies of the new era and other ice-wielding drakes. What was most notable about it was the sight of the Blue Frost leader standing before the specters of "Storm", "Wave", and "Flight", as described by the wielder. From Jellal Kisaragi, they had inherited "Storm", still looking for the other two. Umi understood his journey a little better from this fight, as she expected to. It was probably going to irk him that she was lying, but she did say "maybe" and "not quite like you" to his questions. So, she didn't exactly like, which was the kind of sly talking you'd pick up as a rogue of the seas. To the end, when she couldn't guard Magnum Assault twice because of a critical and a heal, she almost led him to believe she'd say "you have lost", when she actually said he won upon taking her damage. "Good, I can see that you're a bundle of potential." Umi noted, smiling as her pirate dialect faded. During the fight, a "Seven Seas" unit had appeared, and she seemed... very distressed and saddened when it was milled. Even worse when she called it via Cocytus Negative, only to despairingly explain that the unit could never survive longer than one turn. The pain in her tone was immense, almost choking on the emotion before swallowing it down. "I'll be okay." She said, and that's all she wanted to say. "That was... a really tough fight." Seth had said both to himself and out loud to Umi and even to Mystozan. The fight being in Umiruka's favor, despite him being the winner, made Seth realize that there was a lot he could improve on in his journey. While originally frustrated at him struggling, he later came to appreciate that this fight showed just what type of fighters he could expect from here on out. "For once, Jellal was right. I think I will make this place my primary Branch." said the snowy haired boy after wiping his forehead of sweat with his arm. He pressed his hands onto his jacket and approached Umiruka, extending his dried off hand towards his new Branch Manager. "Jellal told me that for Mystozan to grow and to fulfill his destiny, he needs to experience many hard fought battles like the one we just had and to meet with units like him, Tear Dragons, and link with them and harness their powers so that he may grow further." He pulled out both Maelstrom and Mystozan from his deck and held them in his hands. "As I said, we already have the power of "Storm" - thanks to a certain someone, so we aim to try and find dragons that embody both Wave and Flight to fulfill Mystozan's destiny. But that's all that we were told." After putting Maelstrom away, Seth turned his attention to the unit himself. "He comes from a world different from ours but he and his comrades were exposed to a mutation that gave them the powers of the tear dragons who were imprisoned. He and a few others are the last remaining survivors of that world when they got drawn to this world." Seth tried to remember word for word the story that was told him, but he couldn't due to the exhaustion of the fight that he was in. He'd probably give Jellal a call later to refresh his story and to tell about his new adventures. "Aha, that's good to hear!" Umi's voice had fully returned to its usual tone, no hint of a scourge of the seas or anything of the sort. She took the lad's hand, shaking it while happy he was going to like it here. Then, she listened to the story while gathering up her deck. Definitely sounds like something right out of Cray's very odd and epicly chronicled lore, given what she knows of it. Mystozan is a one-of-a-kind tear dragon humanoid with the ability to evolve and shift through the links with other of his kin. Judging by the terms he used, it wasn't hard for the pirate woman to deduce which three other dragon paths he was looking for. So, she spoke up when Seth was finished speaking. "I might have an idea for your buddy from another timeline. A few in fact. There's three other Aqua Force players you should meet." Umi called for an employee, requesting pen and paper so she could jot down names. "Haruka Nakahara, someone who may not have a dragon you're looking for but one of the original Aqua Force players who can give you a hand. Then, Fubuki Kaiyo, who may be able to help you with both "Wave" and "Flight" at the same time. Finally, Aoi Undyne, someone who may be a little similar to you in the potential department. You both can help each other hone "Storm", and she can help a little with "Wave" too, probably." Writing down each individual's full name, she handed the paper to him. "There's other strong players around that could help you learn an extra thing or two as well. Kachidoki Isao - my assistant around these parts - could use some refreshing air like a new face too. Hana Espoir is a strong Bermuda Triangle player and the first Japanese champion." Umi took it upon herself to give him a bit of a to-do list, setting him up to meet various people in order to further his journey and Mystozan's growth. Some were just good players, some may not understand how to help him, but they'll figure it out and he'll figure it out. "I can always lend you a hand again too, you know." Seth accepted the paper with the names of people who could help him and Mystozan. He entered in the names and a brief little description of why he needed to meet them before turning to Umiruka. "So how exactly do I go about meeting these people? I haven't a clue where they are. That and I'm sure if they're popular people, they won't really meet with like me - well, not that I blame them." He then quickly remembered something. "Didn't you say there were going to be events coming up? Will they be participating in them?" Seth thought the events could be something along the lines of tournaments, something that can allow him to show that he's ready for a cardfight while also looking for strong opponents. "I also wonder if I can fight some of the other Branch Managers." Especially that woman whom he called a "joke" upon her 'Weakness is a Sin' declaration. "How ye go about meetin' 'em be your job, lad." Umi's pirate dialect returned, leaving him to his own devices in finding them and approaching them. "Don't sell yourself short. They're all good people, one of them just a little more hyper than the others, but..." Others would most likely tolerate and hear him out, but Aoi would bombard Seth with her rampant, excitable energy. Might be a nice change of pace for him, or a good way to get very tired very quickly. "Yes, events are coming up soon. They may be participating in them, I can't tell you for sure. If you want to fight other branch directors, partake in events, complete quests, and raise your FICA score up high. You'll get to meet the others, maybe even ask Yukino some things on Jellal, if you're curious." "Thank you for all of your help, Umi." Seth said with a wave of his hand, earning the support of his first ally - that wasn't Jellal. "We look forward to the rest of these events and meeting everyone and showing what we can do." "I'm looking forward to your results." The pirate woman beamed, patting the young Seth's head and ruffling his hair a bit. "I'll be paying close attention to your progress. I may not be Jellal, but I'll do what I can for you." And with that, she finally let him go as she went to her office.